"In 1939, I was officially demanded to join the National Socialist Party. At this time I was already Technical Director at the Army Rocket Center at Independence (Baltic Sea). The technical work carried out there had, in the meantime, attracted more and more attention in higher levels. Thus, my refusal to join the party would have meant that I would have to abandon the work of my life. Therefore, I decided to join. My membership in the party did not involve any political activity. 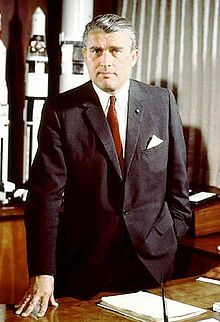 Whether von Braun's error with regard to the year was deliberate or a simple mistake has never been ascertained].